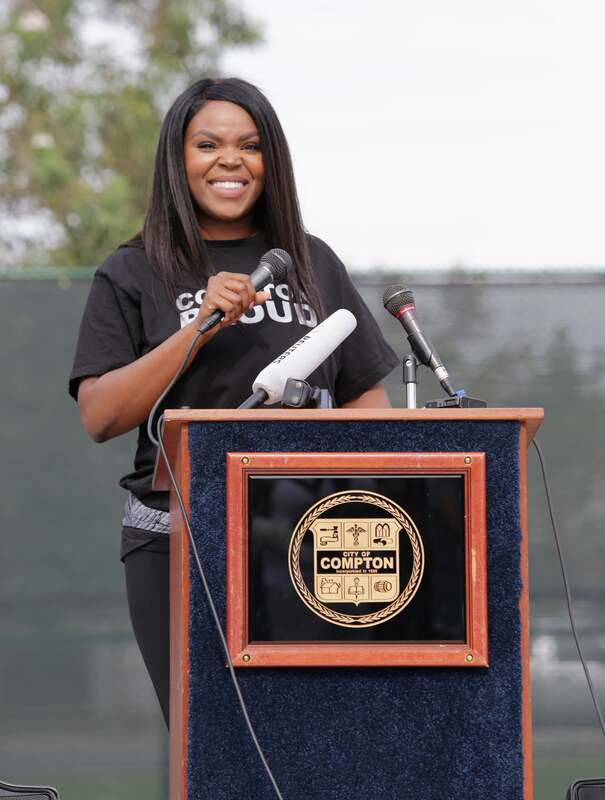 Stacey Dash’s shot at Congress may be short lived if reports are true that Compton Mayor Aja Brown is thinking of running against the Clueless celebrity. TMZ reports that the day Dash announced she would be running for Congress in California’s 44th district, members from the California Congressional delegation flooded Brown with urgent calls to run against Dash. California’s 44th district includes Compton, North Long Beach, an Pedro, and Watts. CNN reports that the district has long been represented by a Democrat with an overwhelming number of residents voting for Hillary Clinton in the presidential election. Brown — who had no intention to run and has yet to confirm if she will — became the youngest mayor of Compton in 2013. She’s helped reduce violence and crime in the city by reaching out to Blood and Crip leaders to negotiate peace, using conflict mitigation instead of heavy policing. Brown began her second term as mayor last year. Our fingers are crossed that California’s 44th district gets the representative they deserve.